Mt. 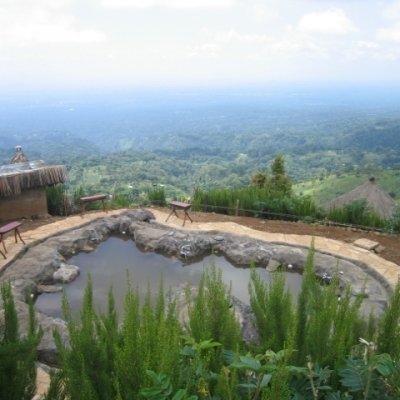 Kilimanjaro View Lodge - Experience the African Culture! 10 Year Anniversary-COMING SOON-Web Site Upgrade. Major Rennovation Photos! 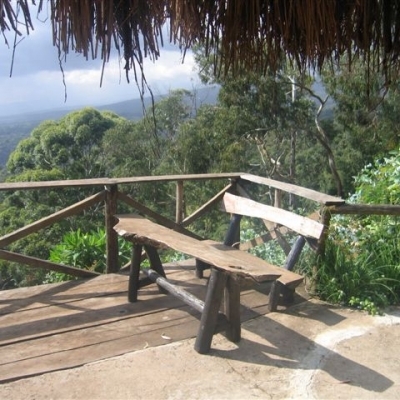 Popular Cultural African Guest Lodge--Remote, Spectacular Views, Peaceful Natural Sanctuary, Unique, Very Special! Restaurant and Lounge With Wi-Fi and TV. Romantic Two-Person Jacuzzi Hot Tub. Opportunity Returning Home Having Lived Shortly As a Temporary "African Resident". JAMBO! KARIBU! WELCOME! You have just found Paradise in Tanzania, East Africa! 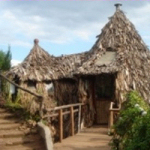 Mount Kilimanjaro View Lodge(MKVL) is a small, traditional lodge nestled against a tropical rain forest high above the tourist town of Moshi "Gateway To Mt. 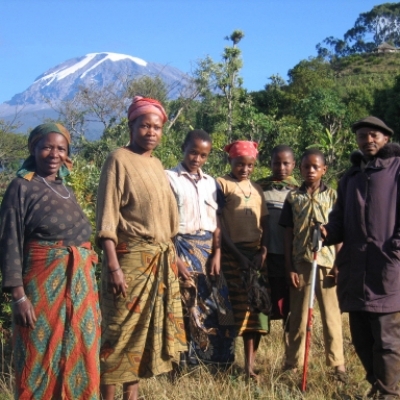 Kilimanjaro" on the rolling slopes of world-famous Mount Kilimanjaro ("Kili" to locals). Since opening in 2006, we have had the pleasure of serving guests from over 100 countries throughout the World. 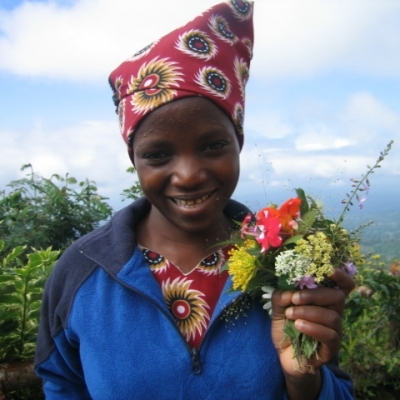 The authentic African lodge is remotely located on the southern slope of this magnificent mountain 16 km. (10 miles) from Moshi. Ideally located on a volcanic geologic phennomeon with superlatives:Highest mountain in Africa ,"Roof of Africa", largest free standing mountain in the World and, 5 degrees below the Equator at 19,341',5,895 meters a place on Earth at the summit closest to the Sun. 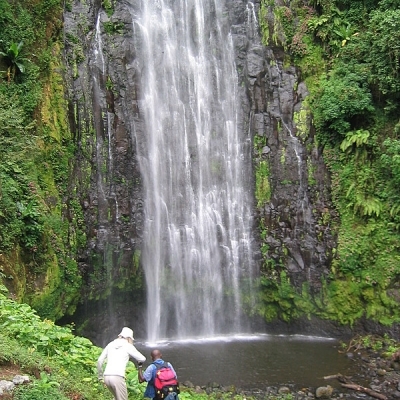 The guest lodge is a true sanctuary with mini- waterfalls, beautiful plants, colorful birds and wildlife. Guests enjoy a breathtaking view of Mount Kilimanjaro, Mount Mawenzi and Mount Meru, as well as a stunning panoramic view of the vast and diverse valley below. At the outset, a few words of CAUTION: This is NOT a luxurious lodge; it more a remarkable retreat "off the beaten path" from commercial tours, providing comfort with an indigenous African touch. Also, the ride up, especially during the rainy season, is not dangerous but can be quite adventuresome on a 4-wheel drive dirt road, giving one almost a sense of having "summitted" famous Mt. Kili upon arrival--tell your friends you went up the highest mountain in Africa and change the subject. 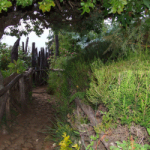 An adventuresome experience at the beginning, leaving guests with a sense of accomplisment and wonderful tales. Again, during the Monsoon Rainy Season, mid March, April and May, the dirt road up to the Lodge may be very wet and slippery--not for the faint of heart! Also during that time, frequently in clouds, the days may be cooler and limited for viewing Mt. Kili at her best. But a silver lining: Cloud Nine feeling in "Heaven" watching the fast moving coloful clouds! 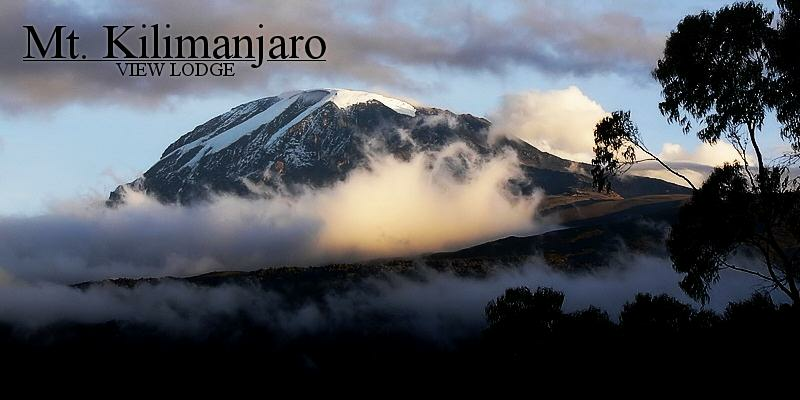 Mount Kilimanjaro View Lodge offers an opportunity to live the culture in a peaceful, undisturbed setting. It is a clear cut above the rest of accommodations in terms of cost, setup, comfort, location and personalized services. 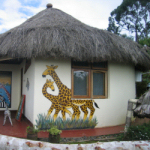 Rooms can be much cheaper in the town of Moshi below but do not be deceived. 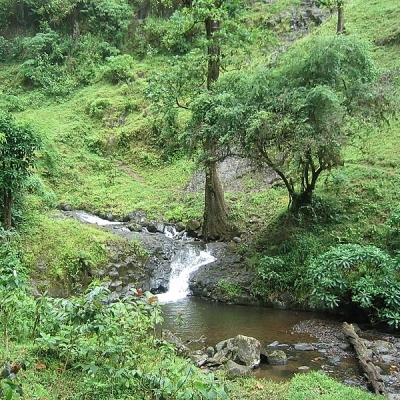 With us you get a totally different unique experience in a beautiful setting away from the noise, dust, crime, begging, and even malaria mosquitoes! Look at a stay in MKVL as "frosting on your cake" meaning a must time included in your total package. In summary, do not leave Tanzania before a stay with us---unique, yes; luxurious, no, but very comfortable with remarkable hot water, flushing toilets, good meals and red capet treatment in a remote peaceful environment. "Luxury" in wilderness! 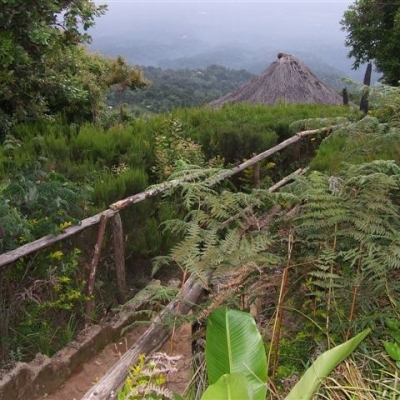 And an adventuresome bumpy 4-wheel ride up to the lodge perched high against the rain forest; memorable, with a grass roots one-on-one exposure to a special African group--the Chagga Tribe. We can almost guarantee you will return home wanting to come back! Yes, this special full-service African lodge at appoximately 9,600ft (2,926 meters) is ideal for starters as a Base Camp for mountain climbers coming from lower altitudes needing to acclimatize before the ardous climb. Also, great for day hikers, bird/wildlife watchers, families, groups, conferences and even for those going on safaris or trips to popular destinations like Zanzibar and the numerous wildlife parks and preserves throughout Tanzania. 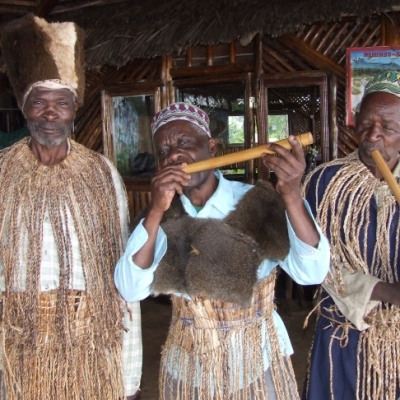 Call it your African home and experience the culture during your stay in this wonderful East Africa country. We hope, after learning more about us, we will have the opportunity to serve as your host during your stay in friendly Tanzania! But a caveat, unfortunately, we had a temporary setback in March, 2014 when our popular local owner/operator suddenly passed away. To regain our past reputation as a very unique and special place to stay, we not only hired a new outgoing talented manager of operations but also decided recently to commit significant funds to upgrade the aging rain forest facilities, scheduled to be completed by the end of 2015. 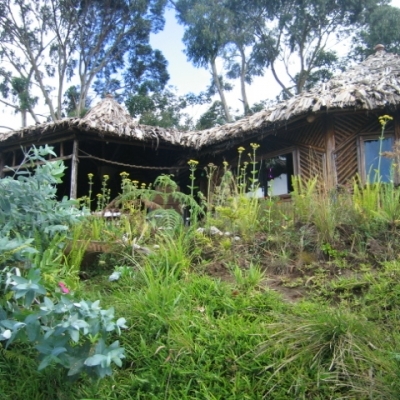 Reviews are once again very positive appreciating our special unique location on Mt Kili and hospitality. We are rebounding and very proud of what we have to offer. Hopefully, you decide to take a "risk" including us in your itinerary to Tanzania. You won't be disappointed being immersed for a short time from commerical offering in our local Chagga culture with a "red carpet" treatment! To learn more about this special place, first click on "The Lodge" in the Navigational Panel to the left followed by the various subpages. And to become more familiar with the country and its many attractions, first click "Tanzania" followed by the three most popular attractions. For payment, we accept all major credit cards (Mastercard, VISA, Discover, American Express) as well as cash and wired funds.